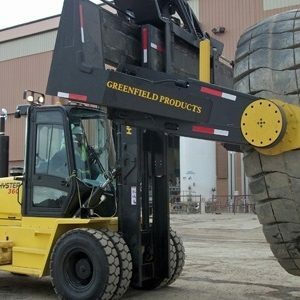 The TH22 tyre handler is one of the largest capacity forklift tyre handler models that Greenfield Handlers carries. 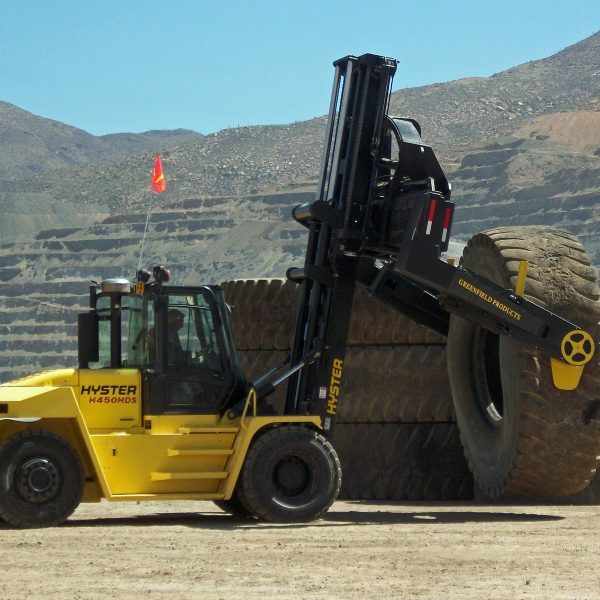 This model of tyre handler is built for heavy duty work without sacrificing versatility, ease of maintenance, or precision. 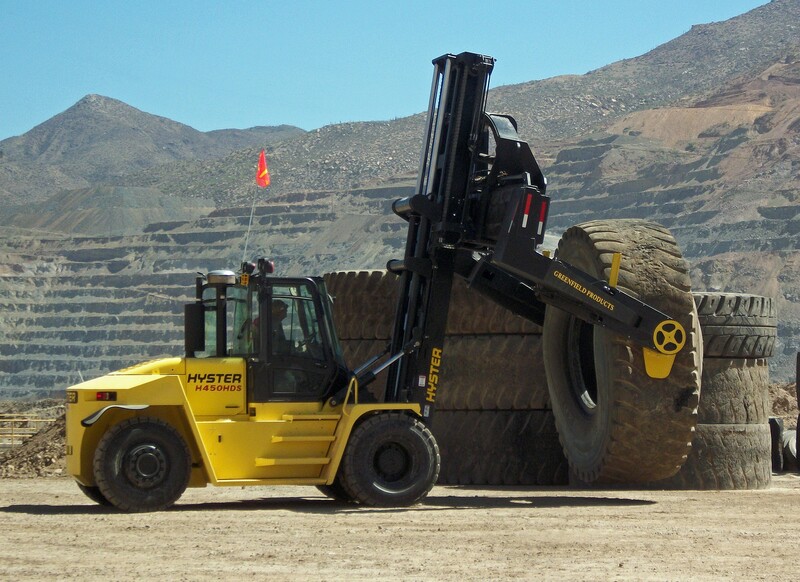 Through our partnership with Hyster and Greenfield, the TH22 tyre handler is available now. 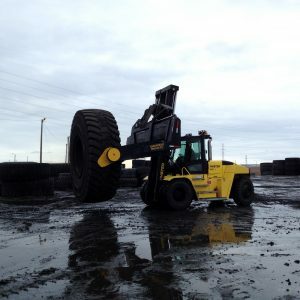 This tyre handler is built to handle the largest tyres on the market. 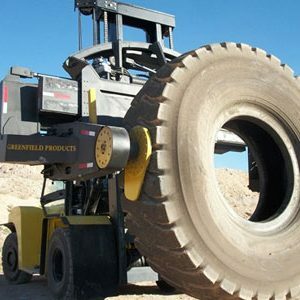 Need more information about the TH22 forklift mount tyre handler?